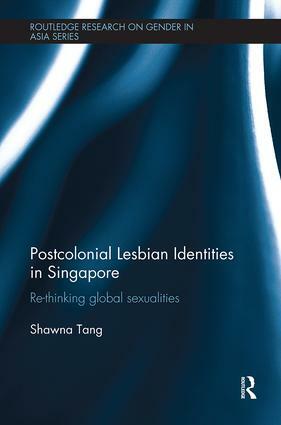 Taking lesbians in Singapore as a case study, this book explores the possibility of a modern gay identity in a postcolonial society, that is not dependent on Western queer norms. It looks at the core question of how this identity can be reconciled with local culture and how it relates to global modernities and dominant understandings of what it means to be queer. It engages with debates about globalization, post-colonialism and sexuality, while emphasising the specificity, diversity and interconnectedness of local lesbian sexualities. Shawna Tang is a Postdoctoral Fellow at Western Sydney University, Australia. Formerly a Lecturer at the Department of Sociology, National University of Singapore, Postdoctoral Fellow at the Asia Research Institute, National University of Singapore, and former Deputy Editor of International Sociology. She obtained her PhD at the Department of Sociology at the University of Sydney.